I’m on the phone with Brad Meltzer at a time when the guy has a lot going on. Two days earlier The New York Times #1 best selling author’s new book – The President’s Shadow – was published. The night before he had done a book signing in D.C. That night he was scheduled to do one in Virginia. Dallas was on the agenda for the next day and many more cities were to follow. Meltzer had just done interviews with George Stephanopoulos on Good Morning America and Brian Kilmeade on Fox and Friends. [In fact, it is not unusual for people to sit down for a practice interview with Good Morning America before Coverage Opinions.] But despite how chaotic his schedule, Meltzer was as on time as a Patek Philippe. He is relaxed, calls me brother and begins to speak to me as if we’re old friends. It feels strange to be asking Brad Meltzer questions. As a best selling author he has done scores of interviews in his career. But answering questions is not how Meltzer has gotten to where he is. Just the opposite. His career has been built on asking questions. Meltzer’s insatiable appetite for discovery is on display in his ten best selling novels and two television shows: Brad Meltzer’s Decoded on The History Channel and Brad Meltzer’s Lost History on H2. But Meltzer isn’t interested in learning just anything. He’s not after the average annual rainfall in Saskatchewan or the national bird of Mozambique. In his television shows Meltzer is out to discover the nearly impossible to find. He asks questions that very few have ever pondered. In fact, he asks questions that you never even knew existed. Is there really any gold in Fort Knox? Consider that nobody has been allowed inside since 1974. Was John Wilkes Booth really shot and killed twelve days after he assassinated Lincoln as we’ve been told? Or did he live for 40 more years as a fugitive? Where is the Spear of Destiny – supposedly used to stab Christ on the cross? Many have pursued it – including Napoleon and Hitler. These are just a smattering of the questions that Meltzer has asked and set out to answer. Brad Meltzer is history’s yenta. Now it was my turn to ask the questions. To question the questioner. Meltzer was funny, forthcoming, animated and engaging. And he was very kind when I asked him to do a favor for me for my wife and her friend. But first Meltzer’s story. For Brad Meltzer, it all began in 1997 with the publication of The Tenth Justice, the story of a U.S. Supreme Court law clerk who is tricked into revealing the outcome of a decision. But the book’s back story is a legal thriller in its own right – Meltzer sold the book to a major publisher while he was still a student at Columbia Law School. A 1996 New York Times article described a six figure advance being paid to Meltzer (exact amount not disclosed) for the novel that he penned in between law school exams and editing law review articles. That 20 year old Times article’s title: “Presumed Best Seller.” It doesn’t get much more prescient than that. While Meltzer’s literary efforts are unquestionably works of fiction, the source for his stories is not limited to his imagination. 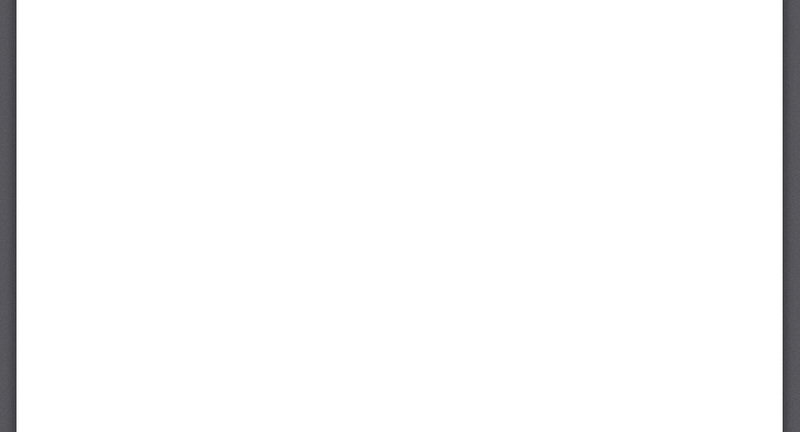 Meltzer’s writing process includes tremendous research. What he leans about real life events, and the facts he uncovers, sometimes find a way into his stories. The result is a fictional account with references to historical fact along the way. In typical Meltzer fashion, he made a lot of discoveries of actual fact while doing the work to write The President’s Shadow. One that received tremendous media coverage was that, following the failed assassination attempt, Ronald Reagan carried a gun in his briefcase. To appreciate how much of a secret this was, Meltzer contacted President George H.W. Bush, Reagan’s V.P., to ask about it. Bush 41’s comment – he was unaware that the Gipper packed heat. The President’s Shadow is immensely enjoyable. Gripping books are often described by readers as page turners or ones that they couldn’t put down. Here’s the easiest way for me to describe my enjoyment of The President’s Shadow. On several occasions while reading the book I took it with me to lunch. I can count on one hand the number of times, in the past 20 years, that I voluntarily chose to read anything at lunch other than The Wall Street Journal. Meltzer’s literary accomplishments do not stop at the fiction aisle. He has also written best selling works of non-fiction. Heroes for My Son (2010) and Heroes for My Daughter (2012) are each collections of 50 or so profiles of people from whom Meltzer believes his children can learn. For his son Meltzer wrote about such individuals as Jonas Salk, John Lennon, Lou Gehrig, Mr. Rogers and Dr. Seuss. For his daughter the stories include those of Golda Meir, Wilma Rudolph, Sally Ride and even The Three Stooges and Lisa Simpson. A current Meltzer project – the “Ordinary People” series – is a collection of books titled “I am…” These are picture book biographies, written for young readers, about ordinary people who changed the world. The message is that we can all be heroes. So far the series has included such titles as I am Albert Einstein, I am Abraham Lincoln, I am Jackie Robinson and I am Amelia Aerhart. The series was the subject of a story in The Wall Street Journal two weeks ago. There are 600,000 copies in print and three have been best sellers. Coincidentally, this week will see publication of the newest entrant: I am Lucille Ball. The plan is to publish three books a year – for a long time to come. Brad Meltzer has a lot on his plate. But just for good measure, he is also an award winning comic book writer and was a co-creator of Jack & Bobby, which ran for a season (2004-2005) on The WB Network. Meltzer’s best selling books have a lot to say about his curiosity. But his two television shows take it to a whole other level. 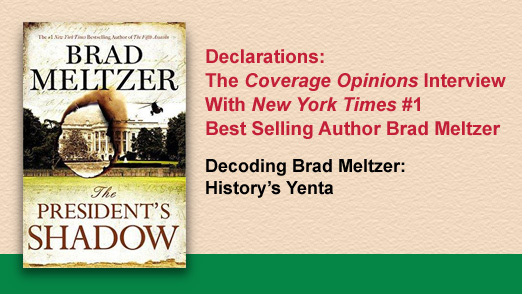 In Brad Meltzer’s Decoded he sets out to solve historical mysteries and uncover conspiracies. In Brad Meltzer’s Lost History, Meltzer goes in search of artifacts from the nation’s past that have gone missing. Here are just a few of the lost historical artifacts that Meltzer has sought to locate: the iconic pink pillbox hat that Jackie Kennedy wore when her husband was assassinated; the White House corner stone has been missing for over 200 years; the Ground Zero flag, immortalized in that famous photo, is believed to have gone missing the same night it was raised; a mysterious ring worn by Lee Harvey Oswald the morning that John F. Kennedy was assassinated; moon rocks stolen from NASA headquarters; the legendary Porsche 550 Spyder that James Dean drove to his tragic death; the Derringer pistol that John Wilkes Booth fired to assassinate Lincoln; and a lost gun that might be the key to solving the infamous Amityville murders. And the list goes on and on. In Decoded the search is not for individual artifacts but answers to questions. Meltzer and his team have explored such things as the Alaska Triangle, a place in Alaska that claims more bodies than the Bermuda Triangle. Did Harry Houdini really die when a trick when horribly wrong or was he in fact murdered? Are there hidden messages in The Declaration of Independence? Did Sheriff Pat Garrett really kill Billy the Kid or did the Kid survive and go on to live a long life? Was Pope John Paul the First murdered by criminals he vowed to expose? The unsolved mystery of D.B. Cooper – the skyjacker who bailed out of a plane at ten thousand feet over Washington state, with two parachutes and two hundred thousand dollars in ransom money strapped to his body. Here too the list continues onward. Some past episodes of Meltzer’s shows are available on the History Channel’s website. They are best watched with someone else as the inevitable post-show debate is a lot of fun. I started my interview with Meltzer with what seems like the most obvious. Where did his interest in uncovering mysteries about history get its start? Was there a light bulb moment? Meltzer pointed to two people as sources for his inspiration – his father and 11th grade history teacher. His dad’s favorite movie was All The President’s Men -- which played on a continuous stream on HBO, back in the day when that’s all HBO did. Then there was the day that his history teacher showed a JFK assassination movie – but not one that just threw out every conspiracy theory to see what sticks. Rather, the movie asked the hard questions. From this Meltzer realized that not all history is in history books and there could be other versions of events and perspectives and stories out that -- and not just in a “kooky conspiracy way.” This, Meltzer told me, is what lit the fire. Despite his degree from Columbia Law, Meltzer did not take that road. Of course not. One doesn’t sell a best seller novel, to a major publisher, while in law school, and then go off to review documents. Meltzer told me that he went to law school for one reason – to avoid the tough financial times faced by his family growing up in case nothing else he wanted to do worked out. Ironically, while Meltzer was spared a life of document reviews, Beecher White, the character in The President’s Shadow and other novels, is an archivist at the National Archives. Surely that job is the mother of all document reviews. I asked Meltzer is he could solve one mystery, conclusively, beyond any doubt, what would it be? [Of course I qualified it by stating that JFK’s assassination was off the table since that goes without saying.] Without hesitation he said the missing Ground Zero flag. Meltzer even informed me that, following the airing of his show on the missing flag, a former marine walked into a fire department in Washington state -- declared that he couldn’t reveal his name, or how he got it -- and turned over the Ground Zero flag. Meltzer told me that, as we spoke, forensic testing was being done on the flag to determine if was the iconic one from Ground Zero. Meltzer’s passion is unearthing secrets, but his gift is understanding which ones. Like a good interviewer, who asks the questions that you are asking yourself, Meltzer sets out to solve mysteries, uncover conspiracies and find artifacts that are fascinating to so many of us. There is nothing obscure or inside baseball about the stories that Meltzer tackles. He knows what makes us tick. He knows what we all want to know. As I got to know Meltzer through my own research I figured out how he can gauge the public’s interest so well – he is the public. Meltzer is just a regular guy. A recurring theme in Meltzer’s work is the power of the regular person. Ordinary people can change the world, he says. And like his subjects, and despite his fame, Meltzer is you and me. This was on display on his recent book tour, where he invited everyone at some signings out for ice cream afterwards. When one of his signings/talks sold out, leaving some disappointed, Meltzer took to Twitter to tell people to come anyway and he would make it work. And this is who Meltzer has always been. Twenty years ago in that Times article his agent said: “I don’t think you’ll find Brad at Elaine’s.” Elaine’s closed in 2011. I suspect that didn’t change Meltzer’s schedule.